You might remember that I enlisted the help of an 8 (sorry, almost 9) year old to draw some dinosaurs for an appliqué project. 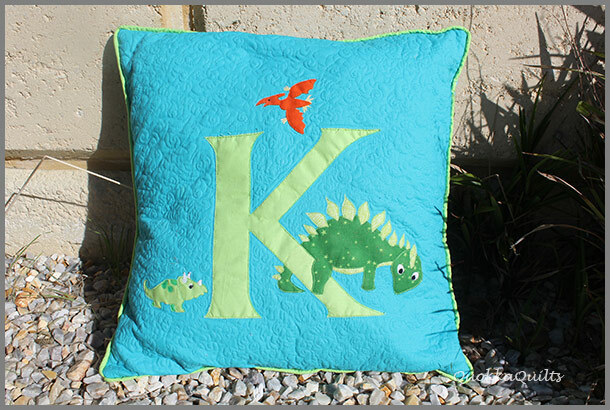 Well Miss Neeve and her brother Kai’s dinosaur cushions have been appliquéd and FMQ’d within an inch of their lives and have been delivered. 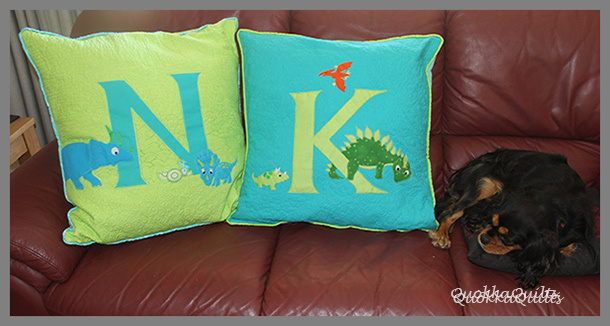 Here are both cushions with their guard dog. 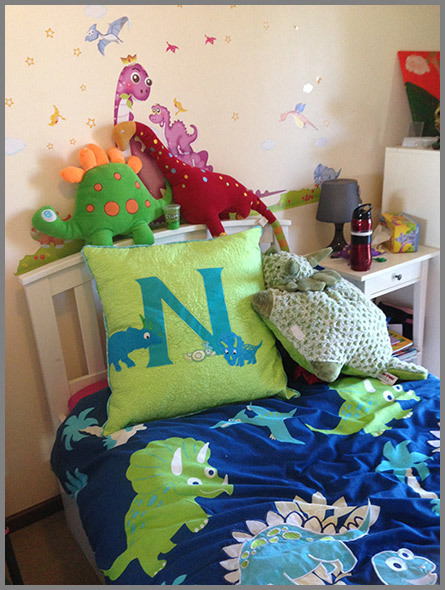 And just to show that Neeve really IS dinosaur mad…. 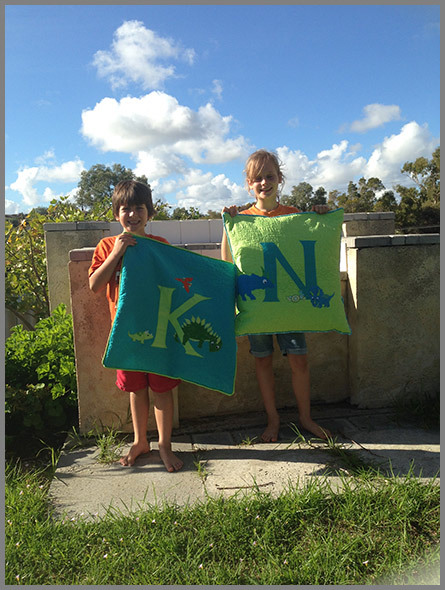 Neeve and Kai with the finished products! 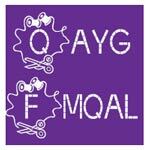 Sarah at Georgia Girl Quilts is hosting TGIFF this week, so hop on over and say hi! The pillows turned out fab! OMG- those dinosaurs! I’m dying over them. So cute!!! !